Concrete surfaces is one of the best bases to work on. With some simple steps, you can install a hardwood floor, however, professional installation ensures there are no mistakes, and the quality is on point. DIY projects risk quality and incur extra cost in additional materials. Mike’s Custom Flooring outline what is involved to help you understand the importance of hiring the pros. 1) Remove everything from the concrete. Removing the previous flooring goes without saying, but you need to ensure that all the baseboards are removed as well to prevent any showing gaps from the wall to the floor. Using care can allow you to reuse the baseboards when you are finished. 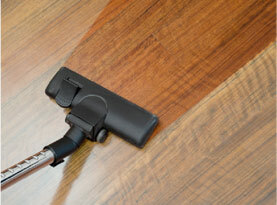 If you want to go the extra mile, sand them down and refinish them same color as the new wood flooring. Use a concrete grinder to remove any globs of paint, adhesive, finish or glue to remove the residues that will impact the installation if they are not properly removed. If you do not want to buy a concrete grinder, you can frequently rent one from a home improvement shop. Once everything is grinded off or scraped clean, follow up with a thorough sweeping to ensure all the debris, dirt, and remnants are removed. 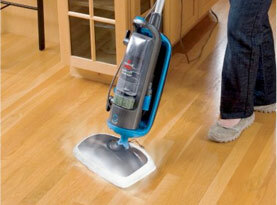 2) Install protective measures to protect your floor from moisture. 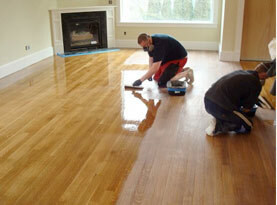 Any kind of moisture or moisture vapors is not hardwood friendly. To combat the moisture, apply an appropriate moisture barrier to the floor before the flooring can be laid out; below is a guide. –	Nailed Floors – Select a moisture barrier that protects the subfloor in addition to the flooring. –	Glued Floors – Being that the flooring is glued directly to the subfloor use a heavy coat of moisture barrier will be required. –	Floating Floors – The moisture barriers are of a plastic material. Be sure to open the windows and doors if weather permits to help ventilate. You do not want to breathe in the fumes from the chemicals and you should consider wearing a mask, however if the moisture barrier is the plastic sheet, and not chemicals, these precautions are not necessary. Start on the side of the room, opposite of the door and ensure you fallow the instructions included in the barriers’ packaging. Do not step on the barrier once it has been applied. Take your supplies with you as move towards the door. Allow the barrier to set for 24 hours, avoid using the floor until it is dry, if it is still tacky after gently touching the last area done, wait longer. In extra humid areas, it may need more time to dry. 3) Lay out hardwood floorboards. Lay down the floorboards, depending on the type you used will dictate your method; check the below guide. Method #1 – Floating Floorboards: You do not need to be concerned about adhesive if you are using floating boards, they interlock together much like a jigsaw puzzle. As you click the edges into place, the floorboards become a solid floor. Ensure you have done the proper measurements and math to have enough materials. And start from the end opposite the door. Method #2 – Conventional Floorboards: You need to apply adhesive while you place the boards in place if they are not designed to click the floor together. Again, start at the back of the room, opposite the door. Work in small section instead of applying the adhesive at once. Be sure to let the adhesive dry 24 hours before you start to walk on your new floor. No matter the type of hardwood you’re using, be sure to cut the boards as you work. Don’t measure the room and assume how many boards need to cut, or you’ll likely run into trouble. You will also want to leave a small half-inch gap between the flooring and wall. Wood doesn’t stay one size, and you want to make sure it has room to expand. 4) Installing baseboard and trim after hardwood floor has been laid. 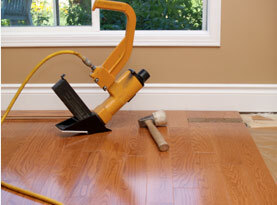 After you have completed the floor, and everything is dry, install the baseboards and trimming and ensure the floor is cleaned before you replace your furniture. Call Mike’s Custom Flooring today to install the hardwood floor to ensure it is done with quality and to save you time and money. Contact us today!